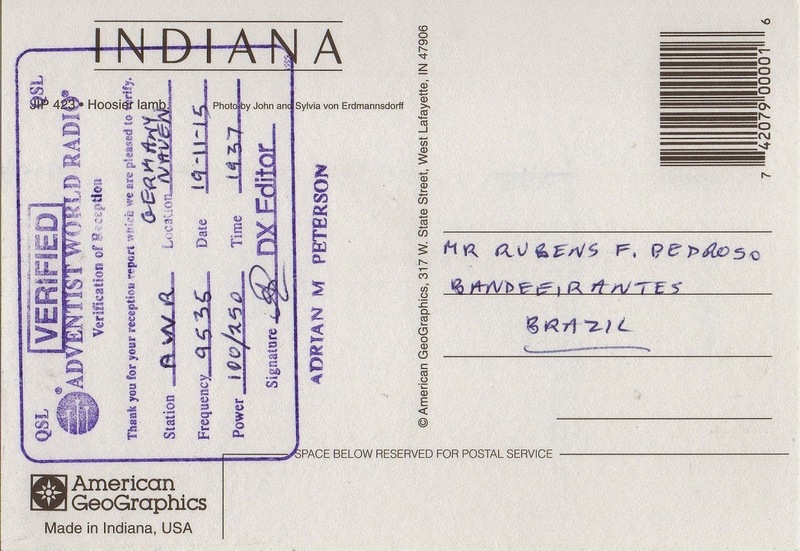 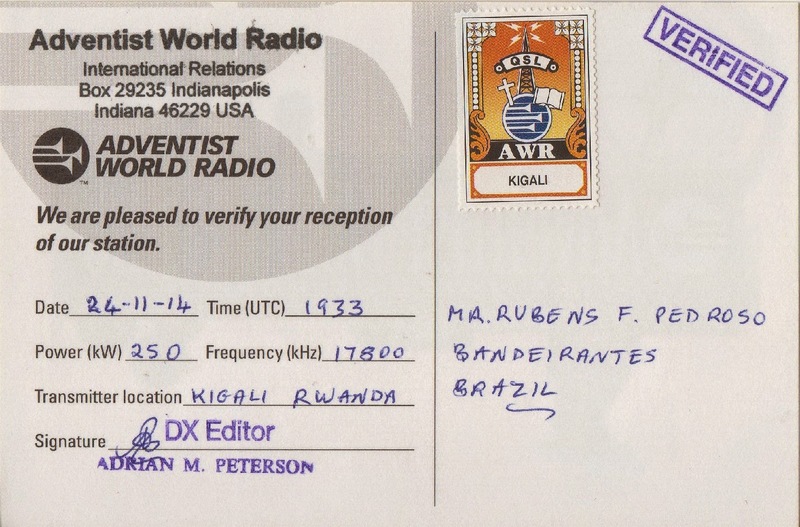 Cartão QSL recebido: PY2JB, Franca, SP, Brasil, 7 MHz, QSO w/ PY2JJ. 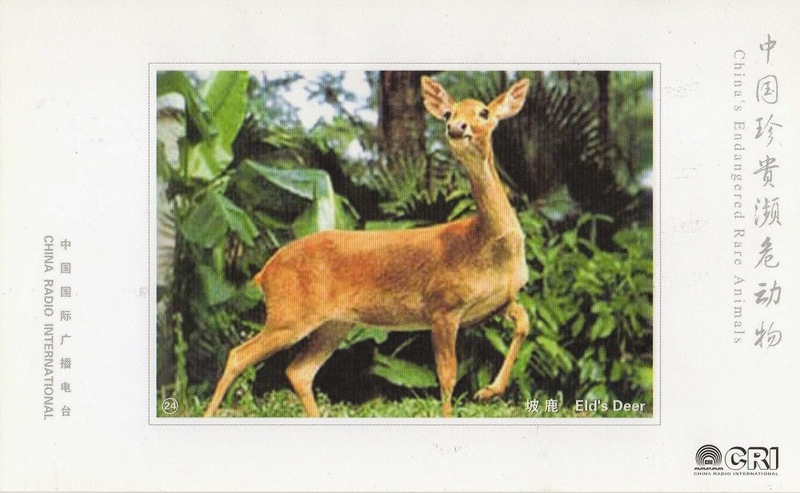 Obs: Escuta realizada em Itapoá/SC (Grid locator: GG53QW). 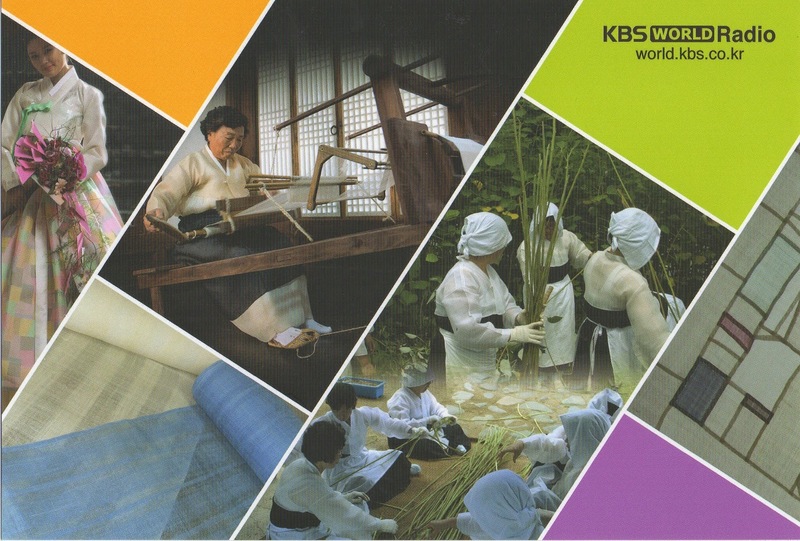 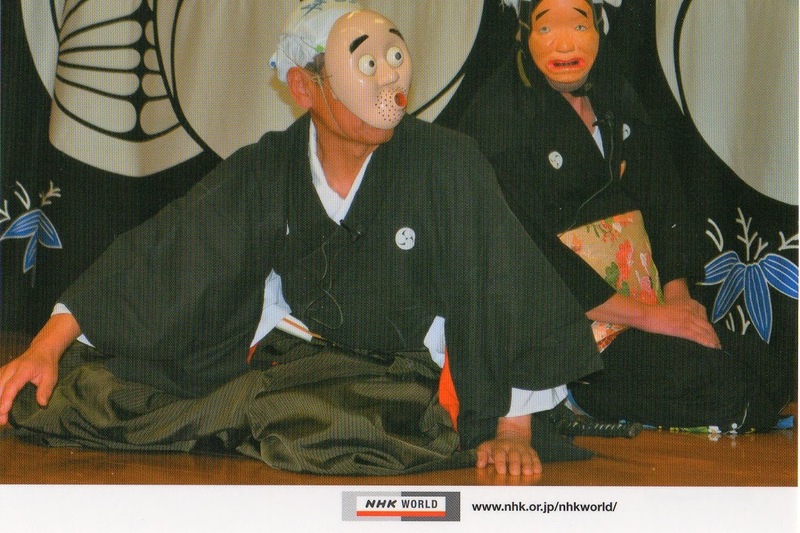 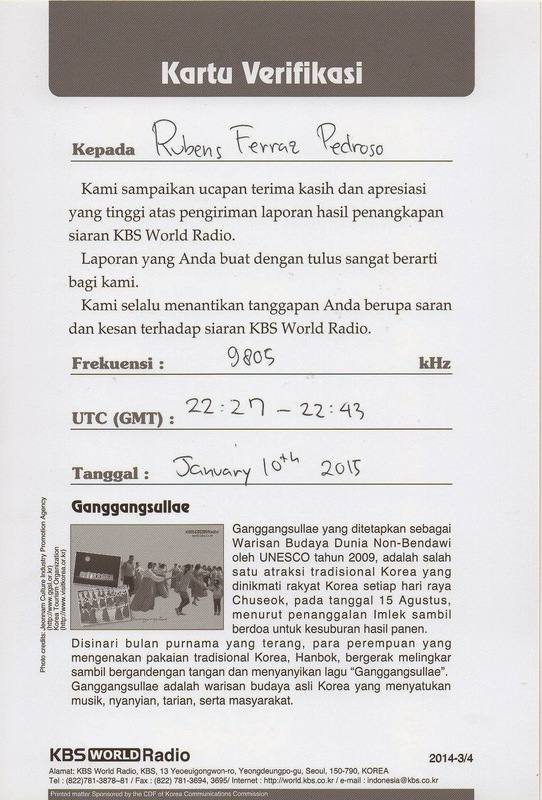 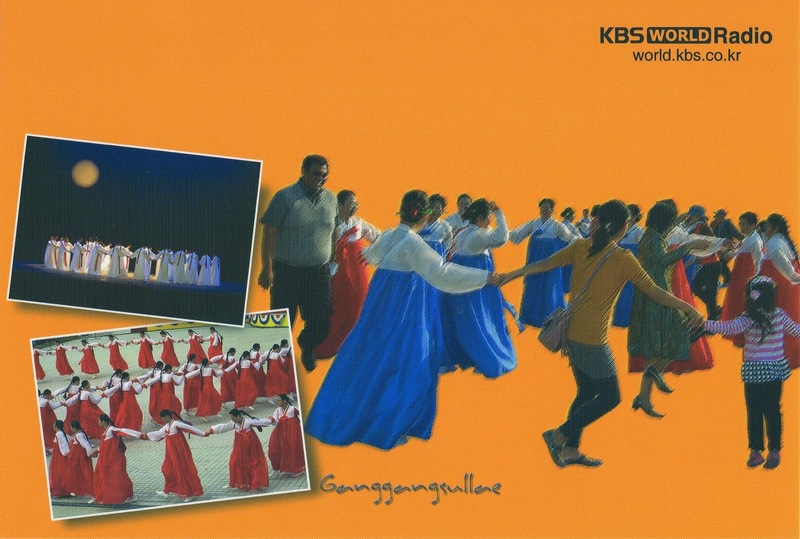 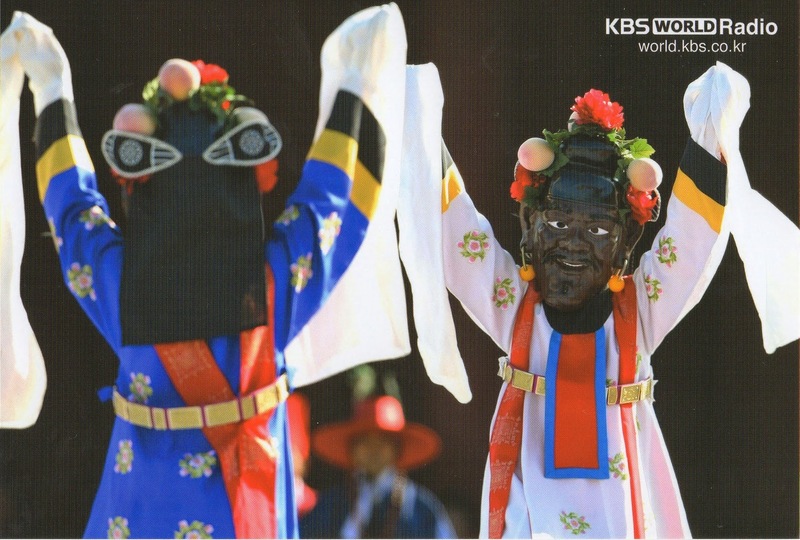 KBS World - 9.805 kHz – In-Kimjae/KOR. 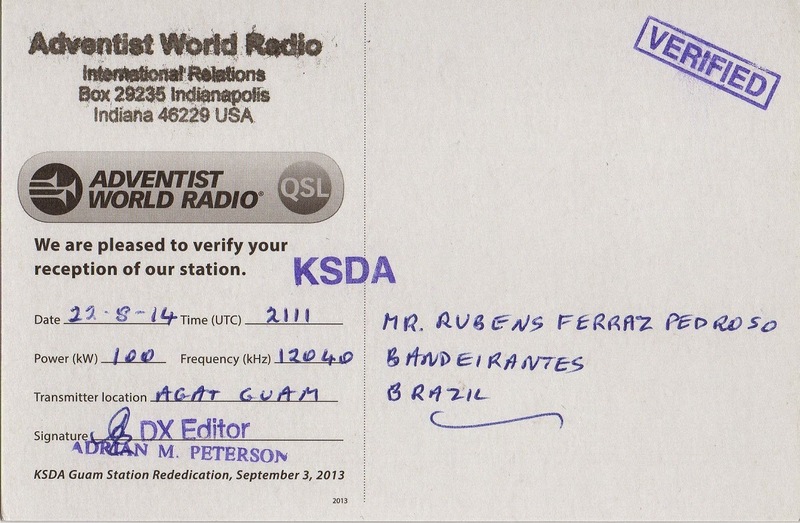 Obs: Os 3 QSLs confirmam uma mesma escuta. 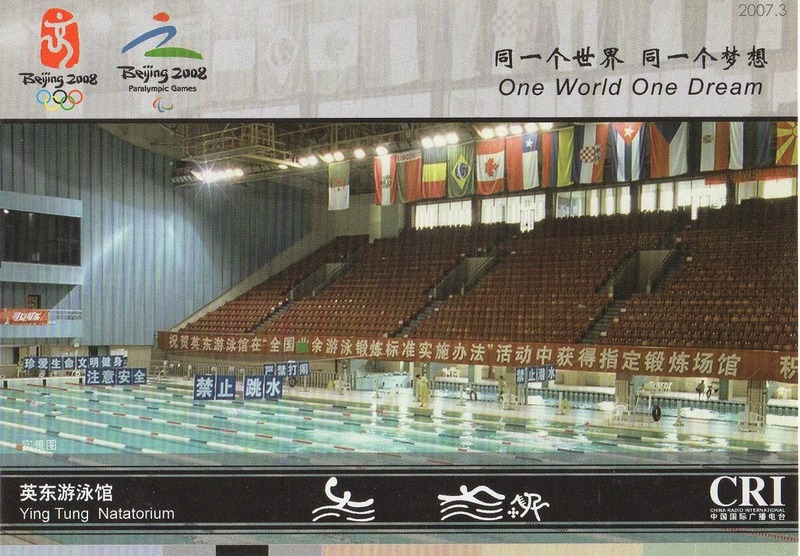 China National Radio - 9.810 kHz – Baoji-Sifangshan/CHN. 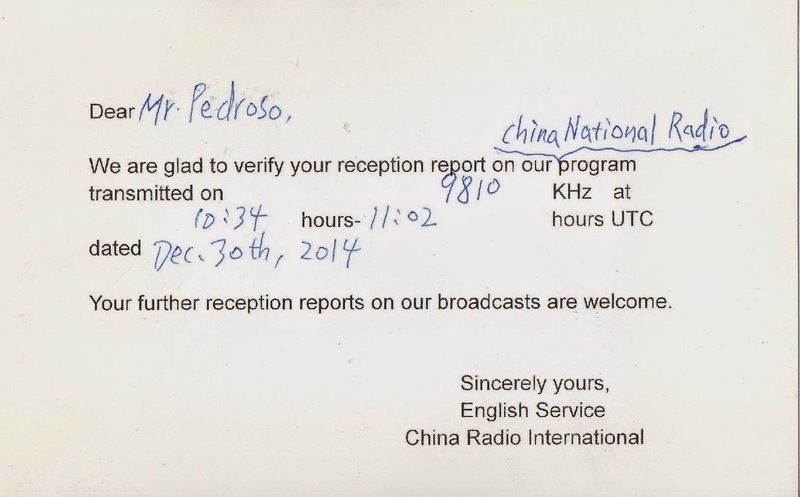 China Radio International - 9.470 kHz – Xian/CHN. 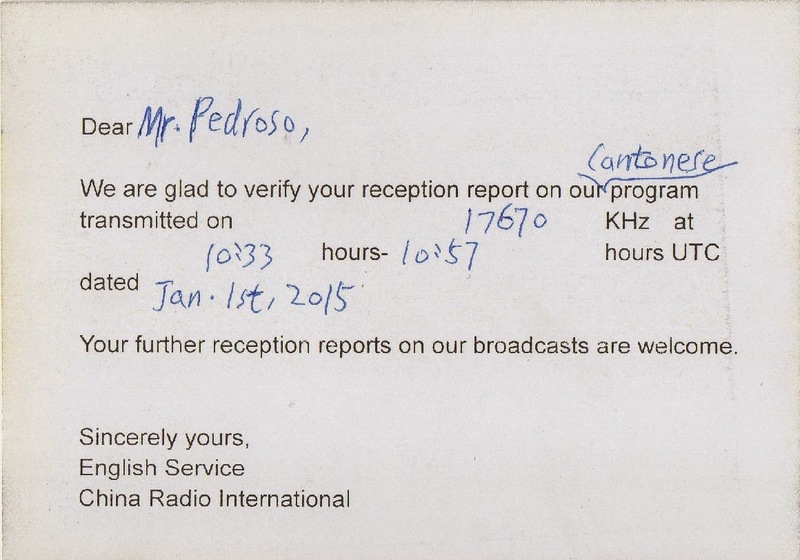 China Radio International - 17.670 kHz – Kunming/CHN. 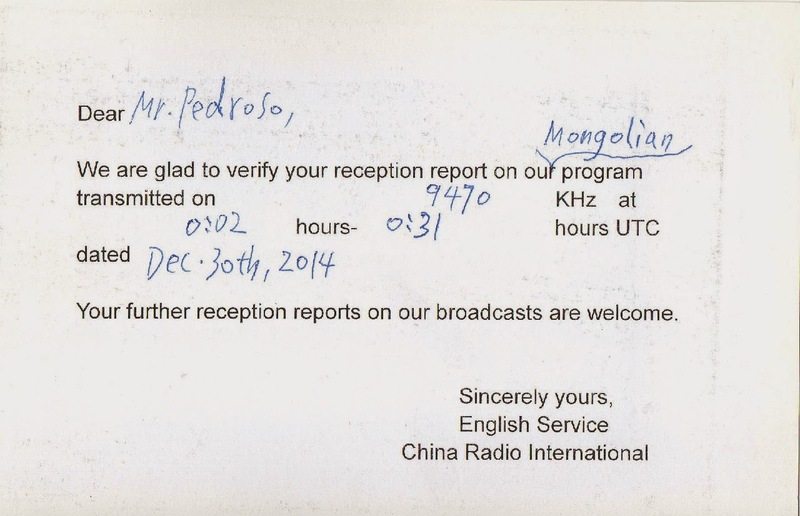 China Radio International - 15.210 kHz – Kunming/CHN. Adventist World Radio - 17.575 kHz – Relay Talata-Volonondry/MDG. 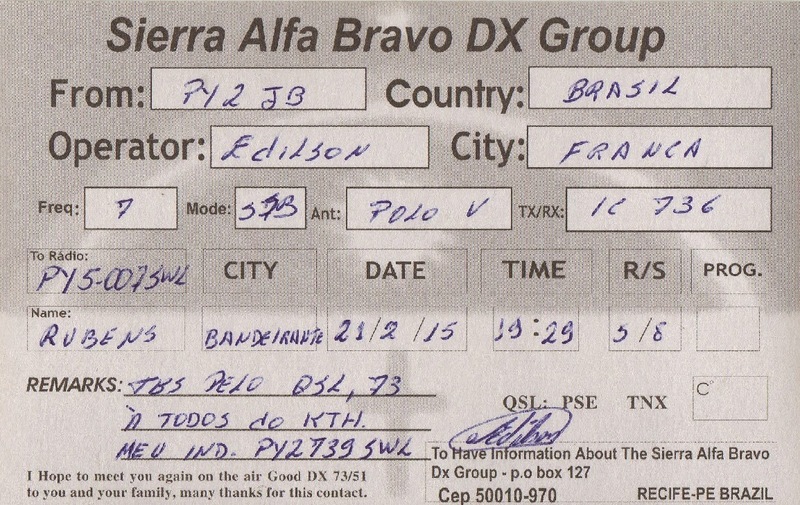 Escutada na zona rural de Itambaracá/PR (Grid locator: GG46TX – uns 15 Km de Bandeirantes/PR). 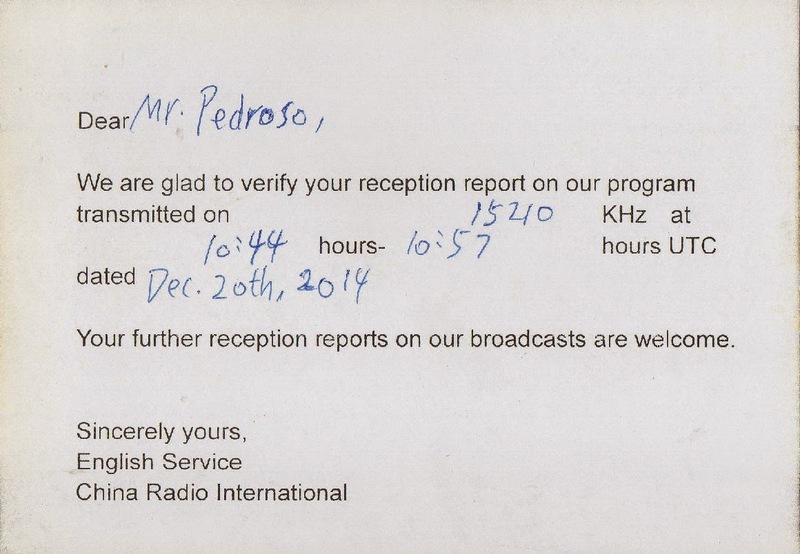 (Rx: Tecsun PL600 /Ant: De carretel Sony AN71). 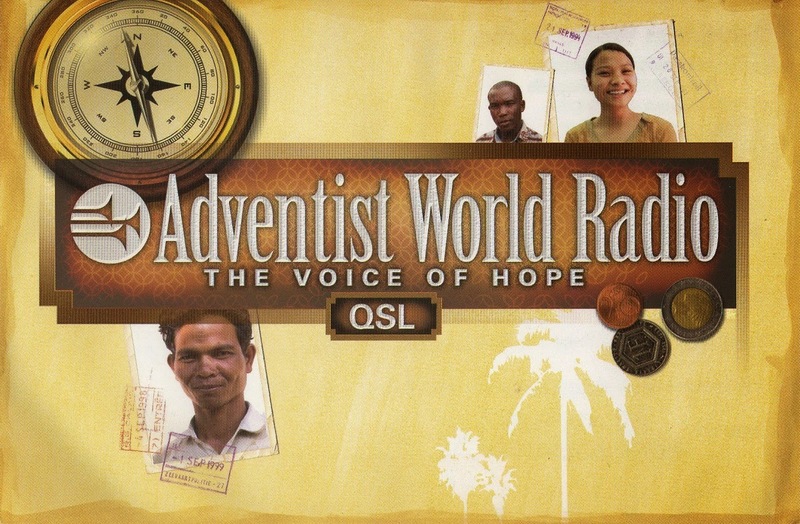 Adventist World Radio - 12.040 kHz – Agat/GUM. 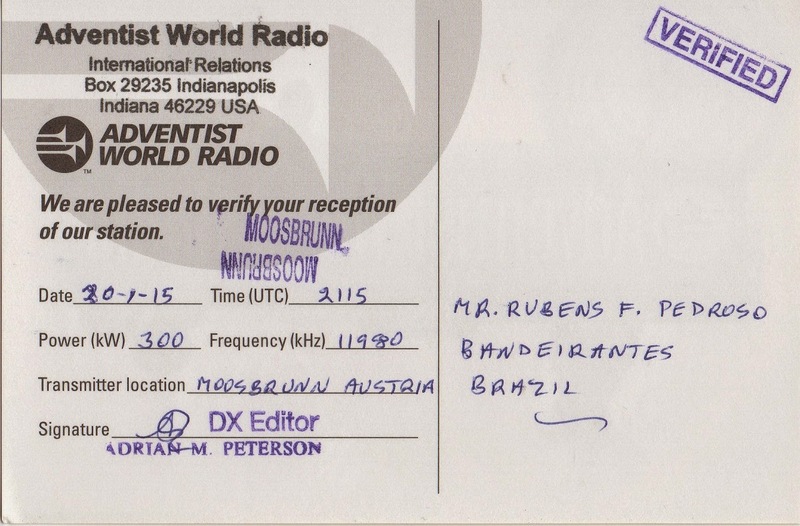 (Rx: Tecsun PL310 /Ant: Loop Blindada DXB). 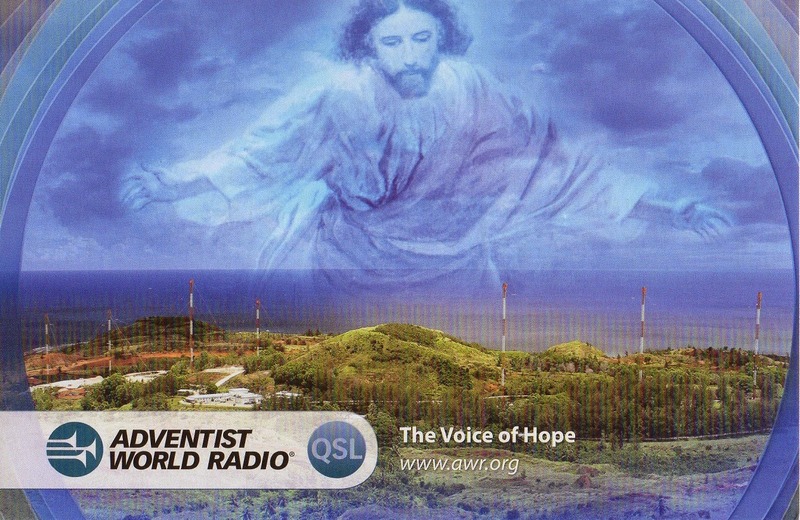 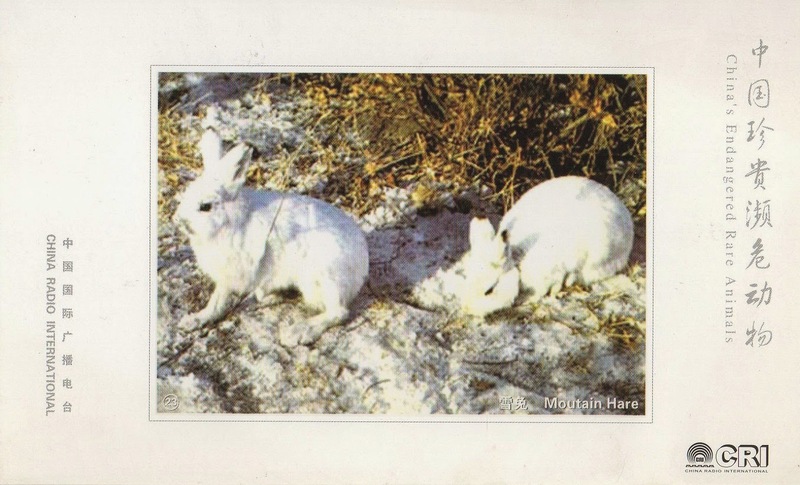 Adventist World Radio - 11.980 kHz – Relay Moosbrunn/AUT. 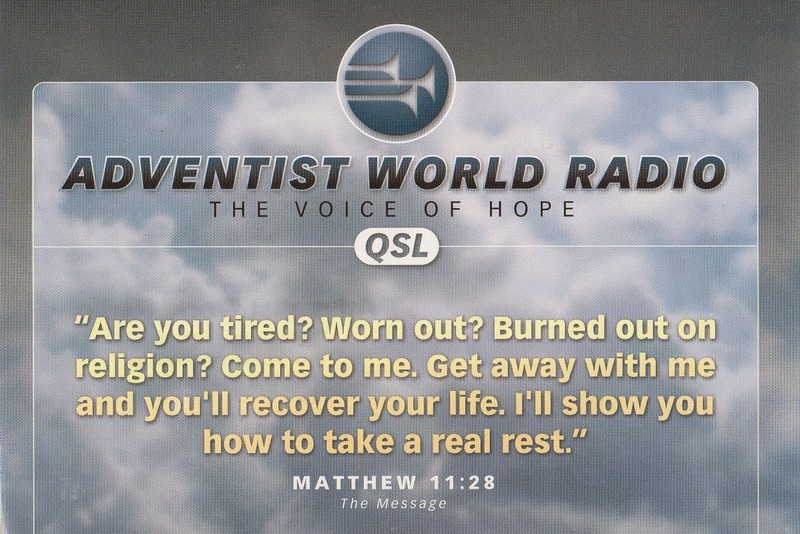 Adventist World Radio - 9.535 kHz – Relay Nauen/D. 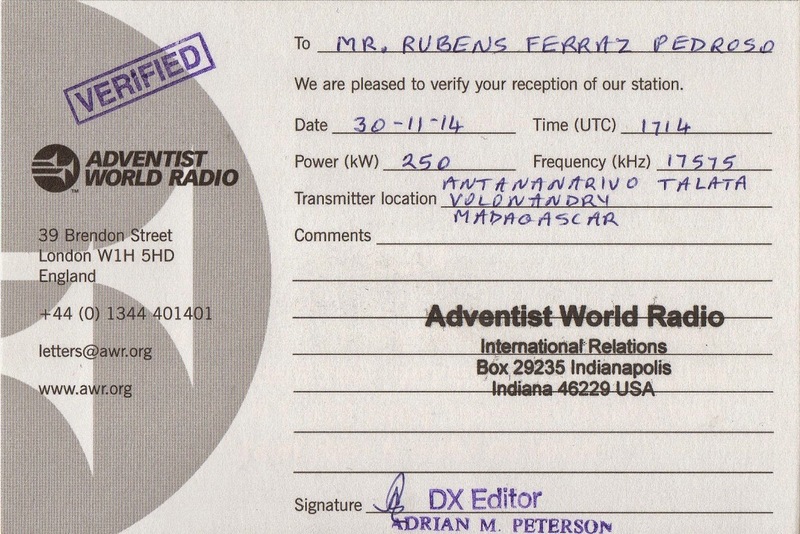 (Rx: Tecsun PL310 /Ant: Loop Blinada DXCB). 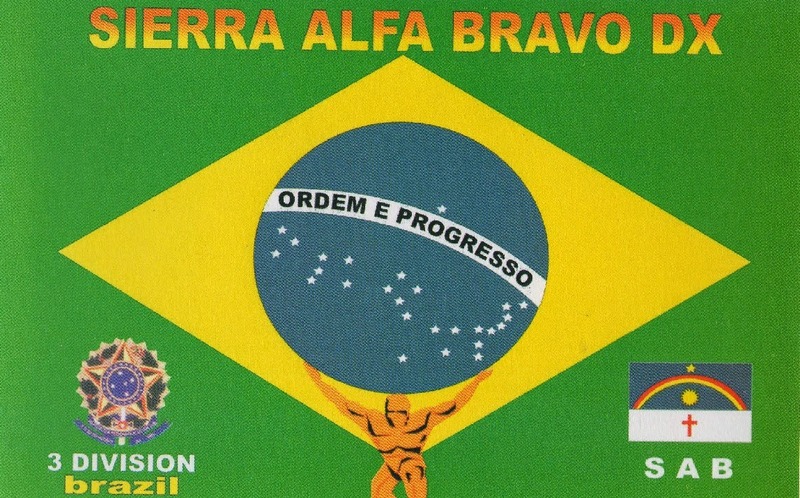 Obs: Data correta da escuta – 19/11/2014.